Whilst there are a plethora of beauty boxes on the market nowadays, I have to say that Love Me Beauty* is most definitely one of my favourites. Each month it comes packed with some seriously amazing products (recent boxes have included brands such as Kat Von D, Make Up Forever and Aromatherapy Associates) so I always know when it comes through the door that I'm going to be impressed. The October box has been no different - if anything, it's been one of my all-time faves! As well as the amazing makeup bag (I mean, it certainly speaks the truth, no?) it came full-to-the-brim with a gorgeous selection of makeup and skincare products. I loved seeing a smattering of Benefit in this box too - products included the new Benefit brow products: the Goof Proof brow pencil and Ready, Set, Brow, as well as Dew the Hoola, a liquid bronzer. The box also included two eye makeup products from Make Up Forever: their Excessive Lash mascara and Aqua XL eye pencils, along with a melting cleansing balm from a brand I've not previously heard of, Merumaya. 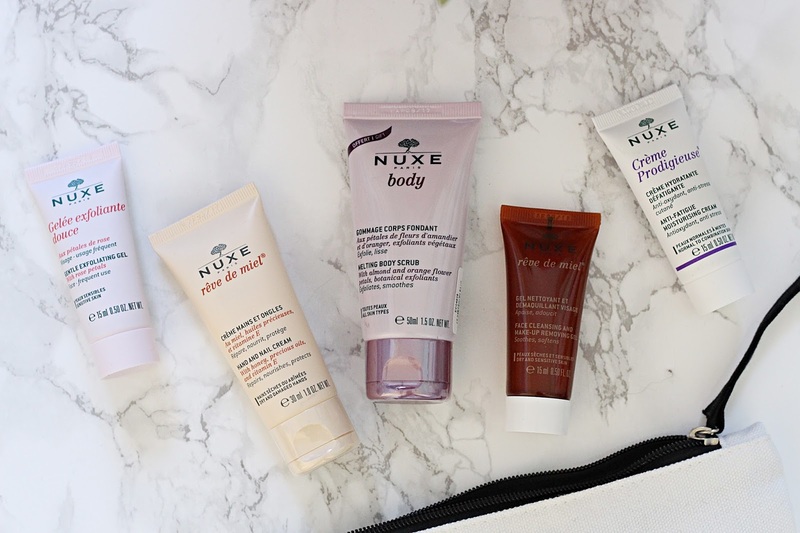 Speaking of skincare, it came loaded with skincare picks from Nuxe, too - I got their Gentle Exfoliating Gel, Hand and Nail Cream, Melting Body Scrub, Face Cleansing & Makeup Removing Gel and Anti-Fatigue Moisturising Cream. Phew! That's a whole lot of products! I absolutely love this month's box (as I do every month, let's face it) and definitely recommend you give it a go if you're in the market for a new beauty subscription box. Boxes start at £10 a month and you can even get 20% off your first box with the code 'hannah20' - what more could you ask for?! 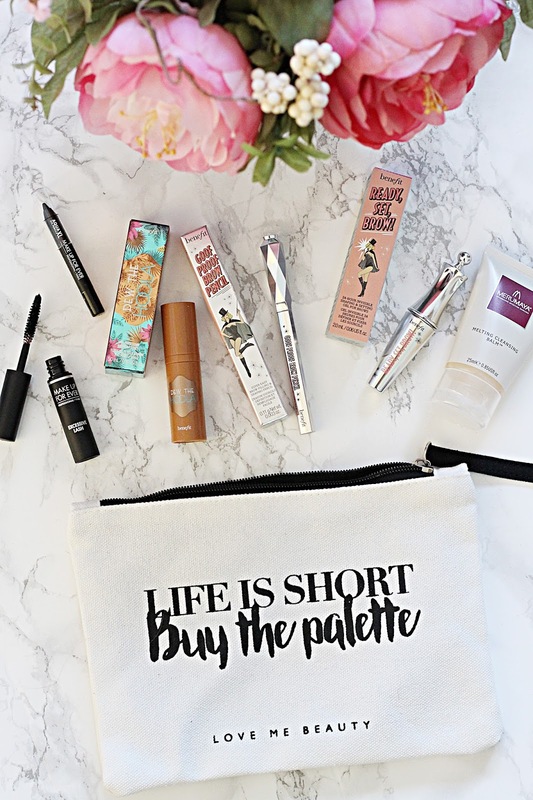 What is your favourite beauty subscription box? Let me know!